Come out to Shaw Farm and join SBCC on a hayride for the entire family. We will take a ride out to the pumpkin patch in a wagon full of hay bales (a ramp is available for people who use wheelchairs). 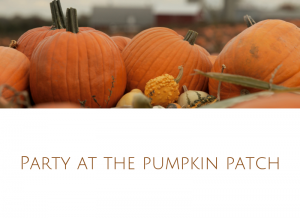 All children 12 and under will receive a small pumpkin to decorate at our picnic tables. A light lunch will be provided. Other activities include visiting with farm animals and a fun, interactive play area featuring familiar scenes from books and television. Farm offerings at an additonal cost to families are: Face Painting – $2, Pedal Karts – $3, Blue Train – $3, and a large Corn Maze – $6.